This is the 2017 Buick LaCrosse. 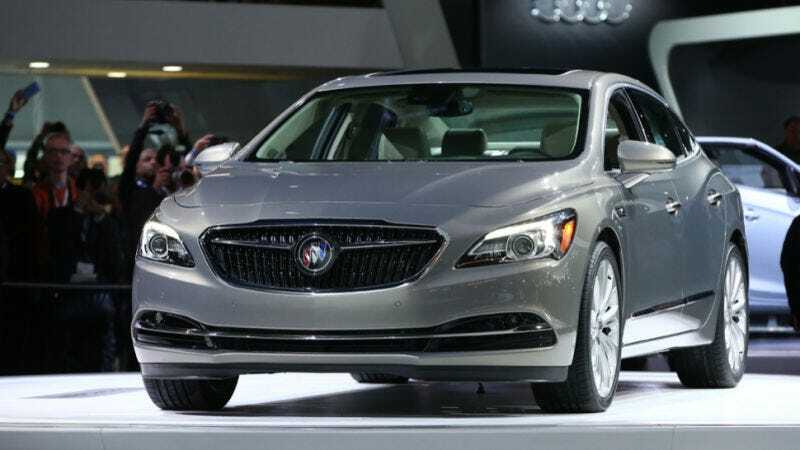 This is the 2017 Buick LaCrosse. It has the face of an Opel and a tail end that’s already dated sitting on GM’s new global midsize platform. It’s lost some weight and with 305hp, it’s competitive enough in the “near-luxury” market. This is the new face of Buick, and it’s nearly good.